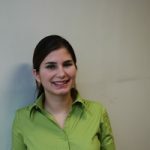 Zeynep Yanasmayan is a PhD candidate at the Faculty of Social Sciences in the Catholic University of Leuven (KUL). She holds an MscEcon degree on Security and Citizenship from the University of Wales, Aberystwyth and an MA degree on European studies from Free University of Brussels (ULB). Her major research interests revolve around integration and citizenship policies, Turkish minorities in Europe and diaspora politics.